Traumahead will be back on TV starting on Friday August 21, 2009. 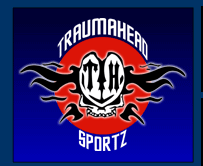 Traumahead will be airing at 5:30pm on Friday, and will re-air on the following Sunday at 11:30am and 8:30pm. The show is mainly on DirectTV but will also be airing on some Comcast and Cox cable markets.